Bare Facts (was babybear3333): Niger Famine!!! Again the world is watching as a nation starves!!! A further 650,000 severly mal-nourished!!! 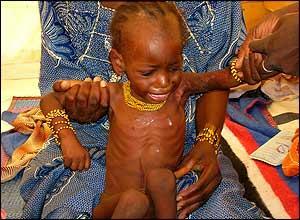 Niger, a whole famine-torn country of some 12 million souls!!! 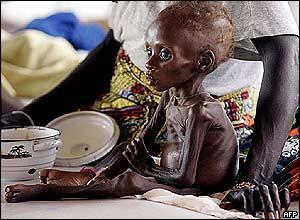 I'm sickened that for more than 8 months aid agencies have been begging the rich nations for food for these people!!! C'mon, feed them. It's not hard. We have obscene amounts of food wastage in our fat nations. Just give it to them. It's a drop in the world's ocean of wealth and would say so much about us as a truly global community if we put a stop to this NOW!!! I'm not rich or can give much in monetry value but I can scream this from and at wherever and whoever!!! Do something, don't let this happen! Donations can be made by ringing 0870 60 60 900 or visit www.dec.org.uk or from Tuesday donations can be made at any post office or bank.